January is seasonally cold and the chances of the UK getting snow increases substantially. Although the winter has been mild so far many forecasters expect this to change shortly. 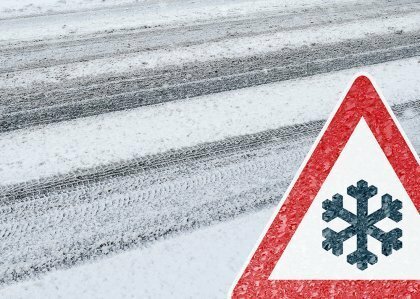 Clearway Gritting offers winter gritting maintenance for all private businesses so make sure you have a winter gritting contractor organised before the snow falls. If you want to stay open in heavy snow organise winter gritting maintenance. We grit private roads and footpaths but believe car park gritting should be a priority for all businesses. The ‘Beast from the East’ demonstrated how quickly snow can fall so early gritting enables any cars parked at your business to get away in bad weather. Some of our clients for example supermarkets, universities and retail parks have large car parks for visitors and workers so keeping them gritted in bad weather is essential. The Met Office recently announced that there are signs that we will experience a change to colder conditions in the next few weeks as temperatures are expected to fall in mid-January as cold air comes in from the north east. Some forecasters show a large amount of snow falling in Britain in the middle of January, at this stage it is too early to know where it could fall. Sub-zero air from the Arctic could hit the UK which could push temperatures close to -10C (14F) in Scotland and the north with lows of -3 (26.6F) forecast elsewhere. Met Office spokesman Nicola Maxey said: “We are expecting it to turn colder into February with temperatures slightly below average although there will be some milder interludes. The greatest chance of cold weather will be to the north of the country and there will be an increasing risk of snow."